Tax PPh21. Human Resources. Payroll. Attendance. 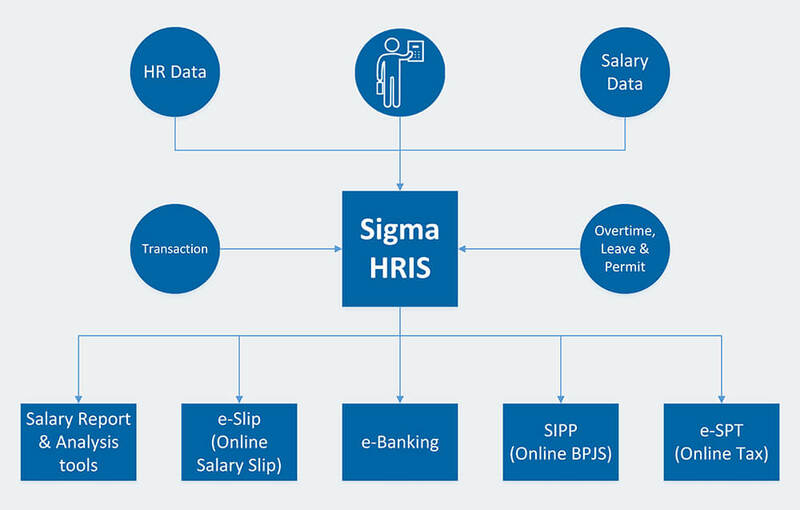 Sigma HRIS is a powerful tools to help your HR operation. You can increase performance & improving productivity. We providing synchronization with attendance machine, excel friendly for export and import data. We also have integrated output for e-SPT, e-banking, e-slip & BPJS SIPP. We providing analysis report and pivot table to help your management make strategic decision. For many reasons, company need to keep record housekeeping. For example: Tax Inspection, Employee Career History, Etc.